Making a proper plan for your event is the most important step to ensure its success. Being ahead of the clock is the best way to be safe than sorry. You might want to bring your team and decide as a group to determine the purpose of your event. Based on the purpose you would want to plan out the look and feel of the event as well as the necessary logistics. Budgeting is perhaps one of the biggest issues when planning a corporate event. For the proper allocation of funds it is necessary to have a realistic understanding of the costs of each of the event’s features. Random assigning of the budget without any knowledge or research can create a deficit. Therefore, you might want to make a list of the expenses and get quotes to set out the budget for your event and avoid problems. For a large corporate event you might not be able to use the office facilities and will have to conduct it an external venue. Choosing the right venue will set the tone for the entire event. Things to consider when choosing the venue are the size and seating facilities as it is important to make sure you are not about to cram to many people up in a small space. On the other hand, an oversized venue can also make your event look dull. Choosing the right venue is important to make sure the event has a good feel to it and ends up being a success. The main reason or purpose of the event is the message you want to give to the audience. However, it is important to make sure that you do not overload the guests with long and lengthy sessions. A long monologue can make the audience bored and lose interest. On the flip side, breaking up the sessions into smaller segments with breaks in between for other activities will keep your audience sharp and attentive throughout the event. Keeping the audience engaged in fun activities might not be on your corporate event agenda, but it is fairly important. 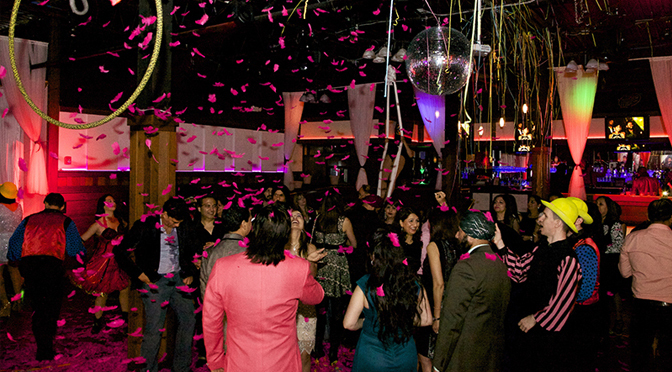 Entertainment activities have the power to keep the audience energized and make your event an exciting affair.